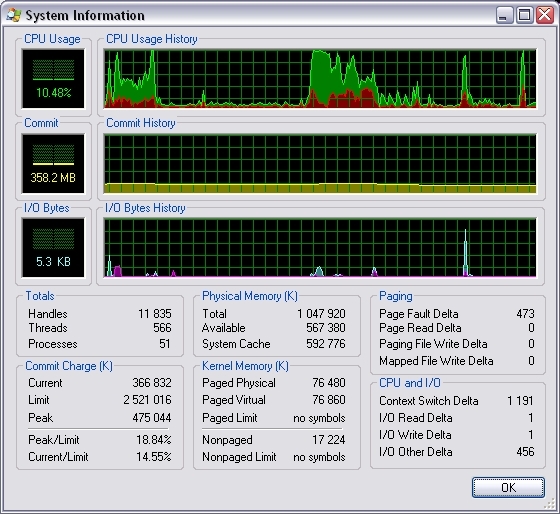 Not only does it feature tree-structure of processes, but it also features windows to show live data and history of CPU usage, Commit history and I/O Bytes. 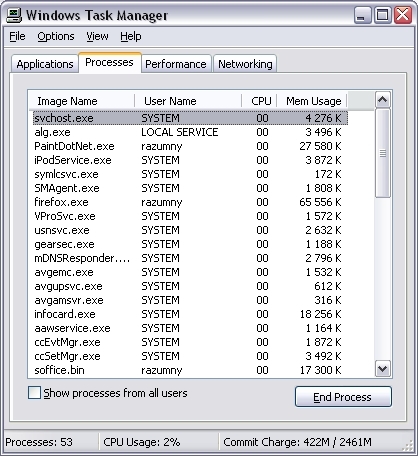 Clicking any of these windows will display a full system information window, as shown below. 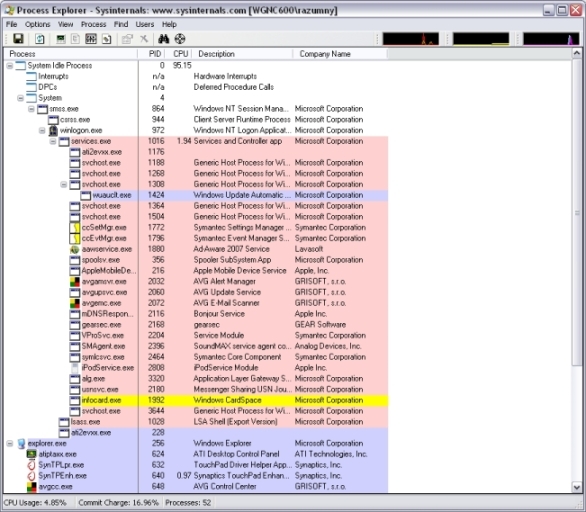 These features are only the tip of the iceberg of what should make Process Explorer an essential part of any techie tool kit.